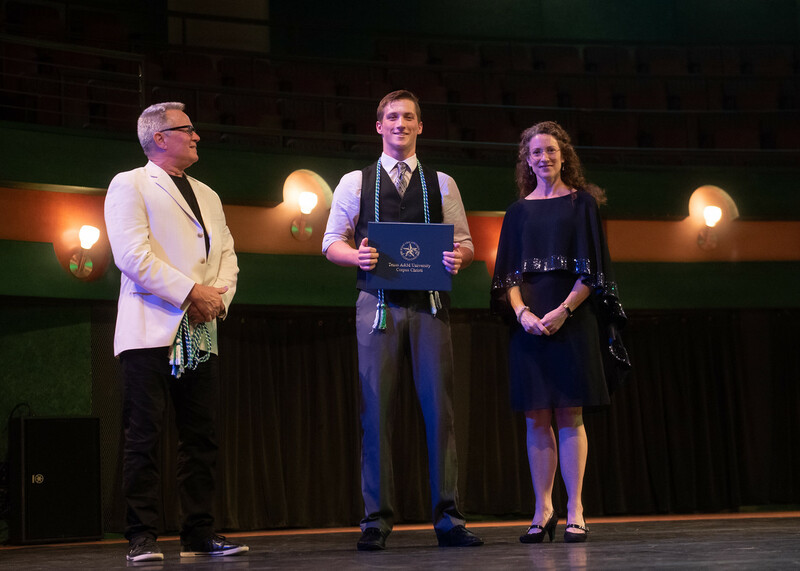 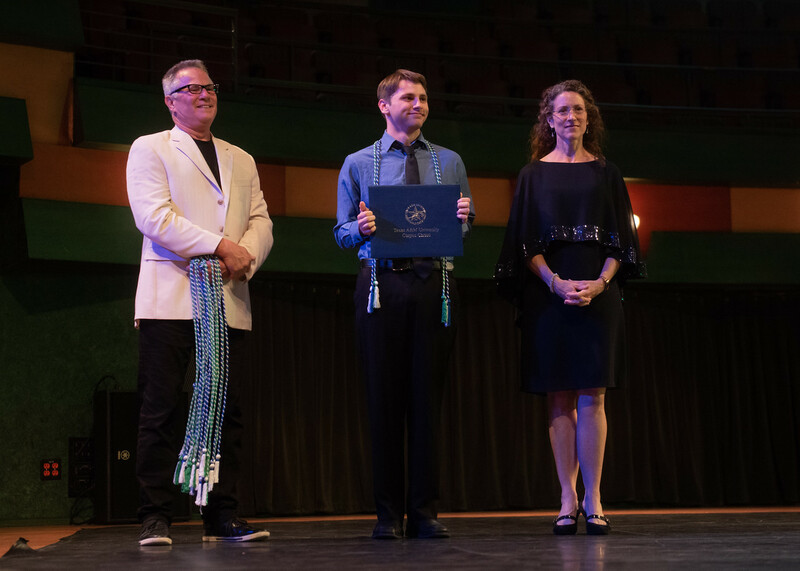 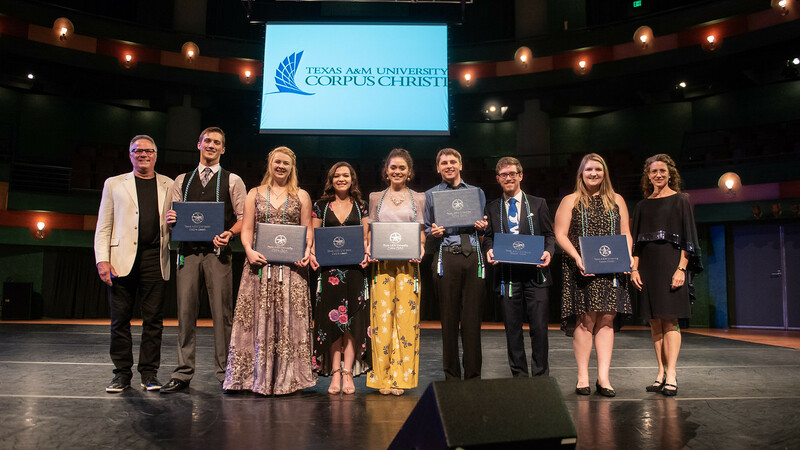 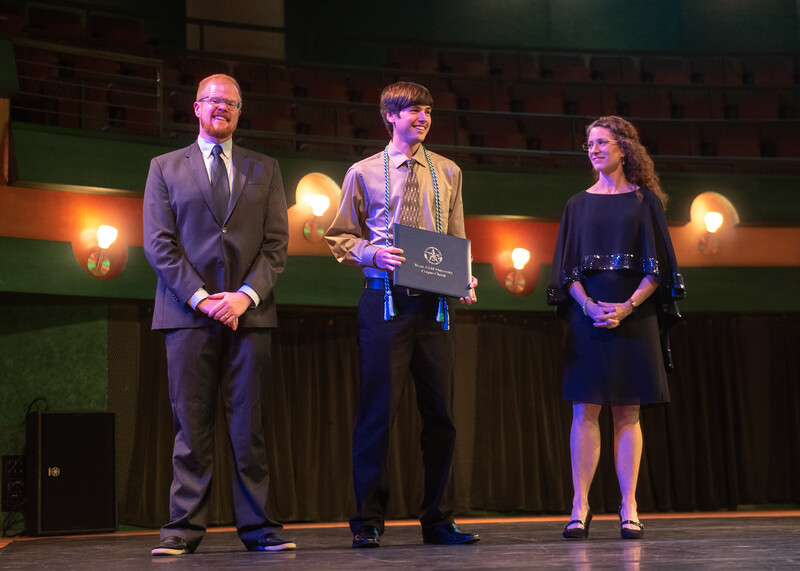 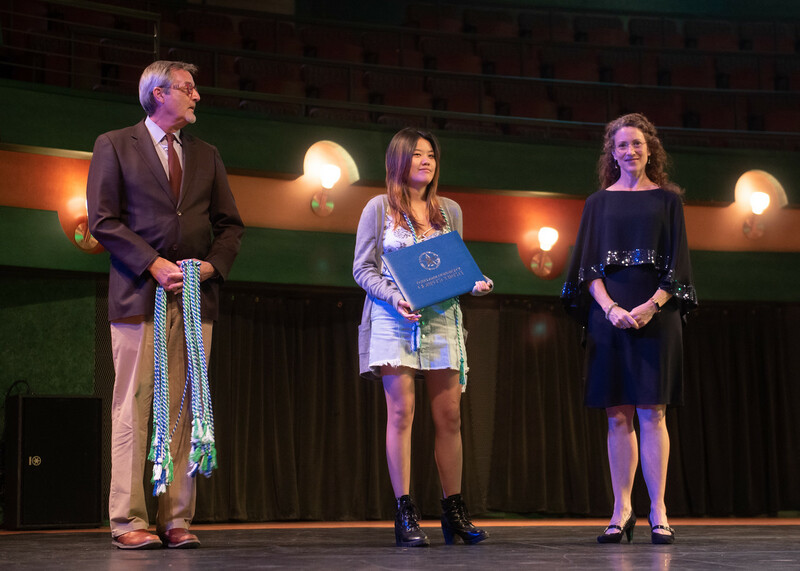 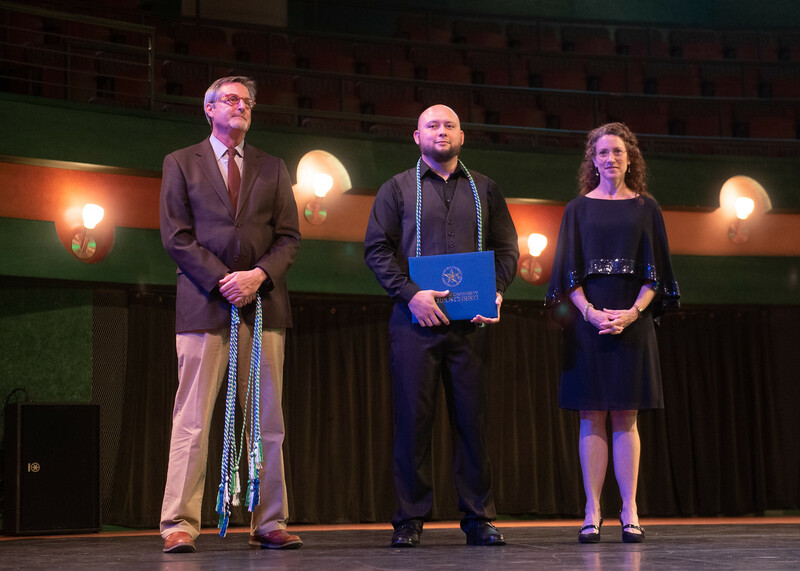 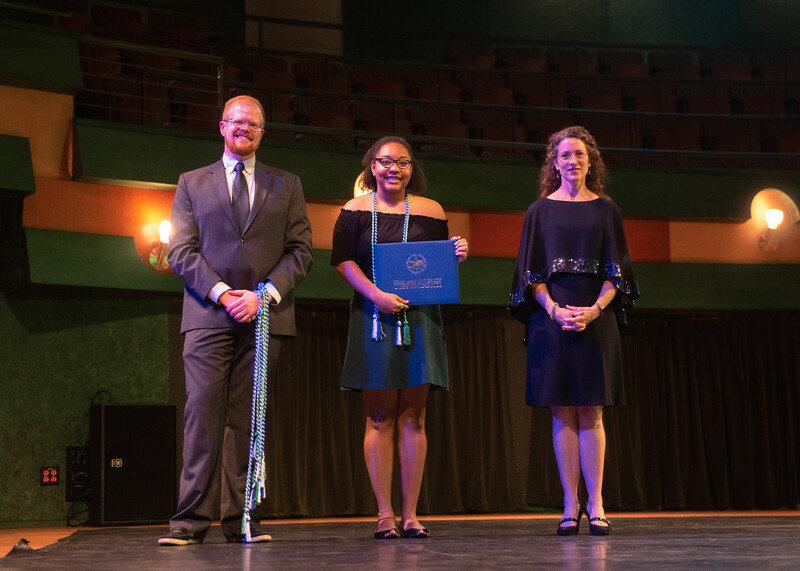 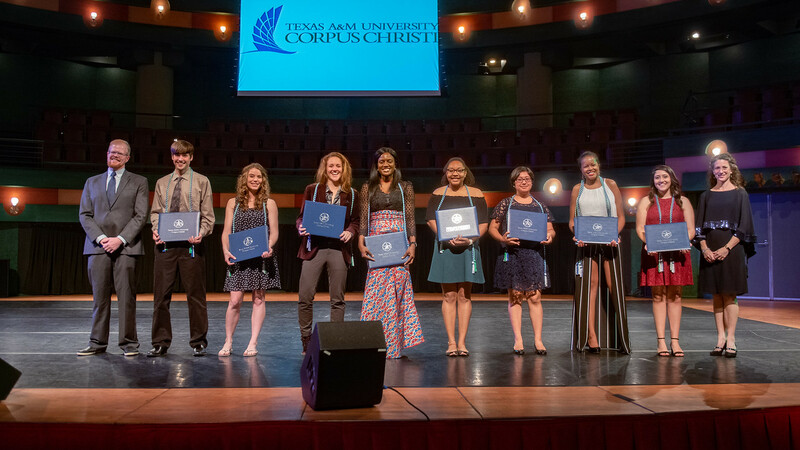 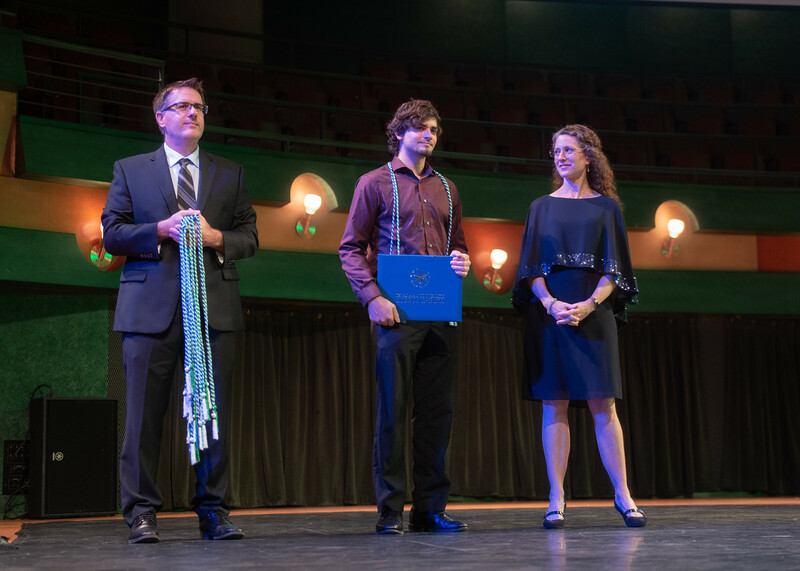 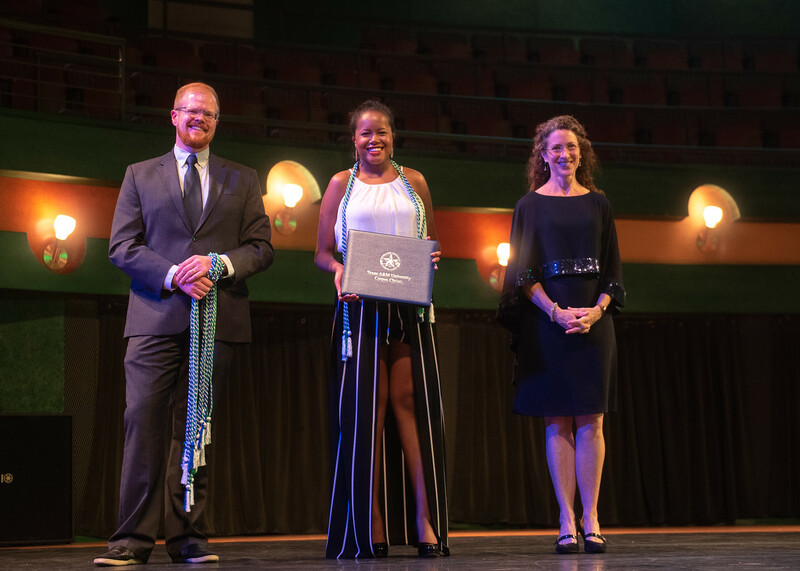 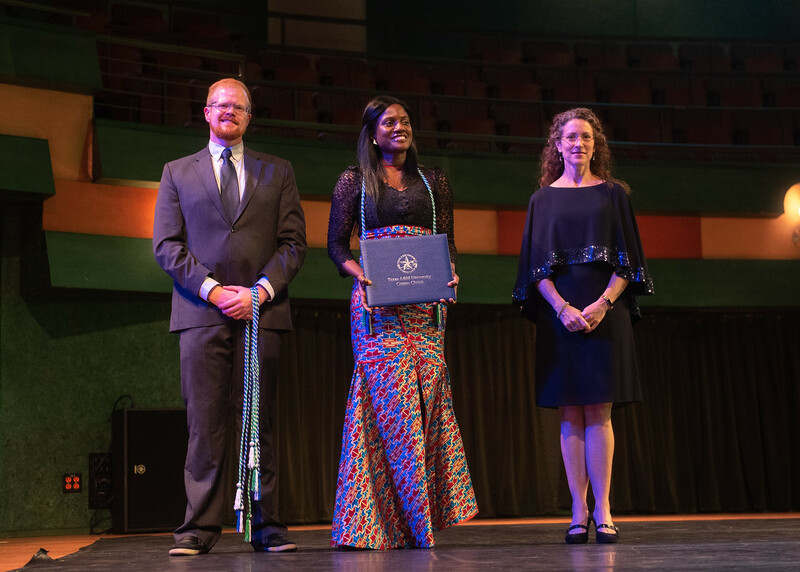 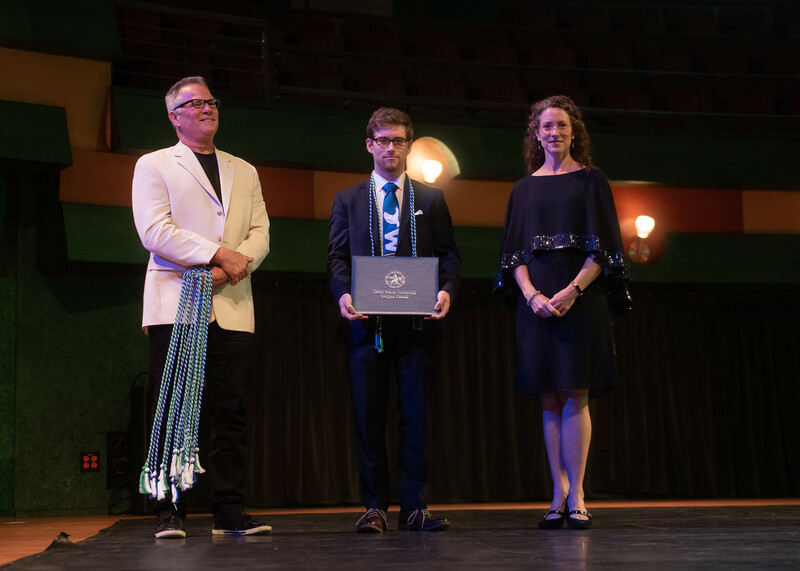 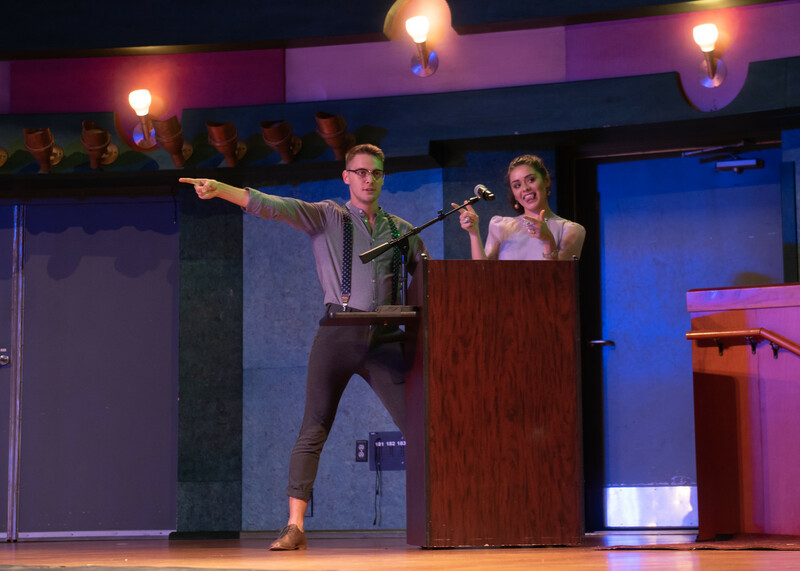 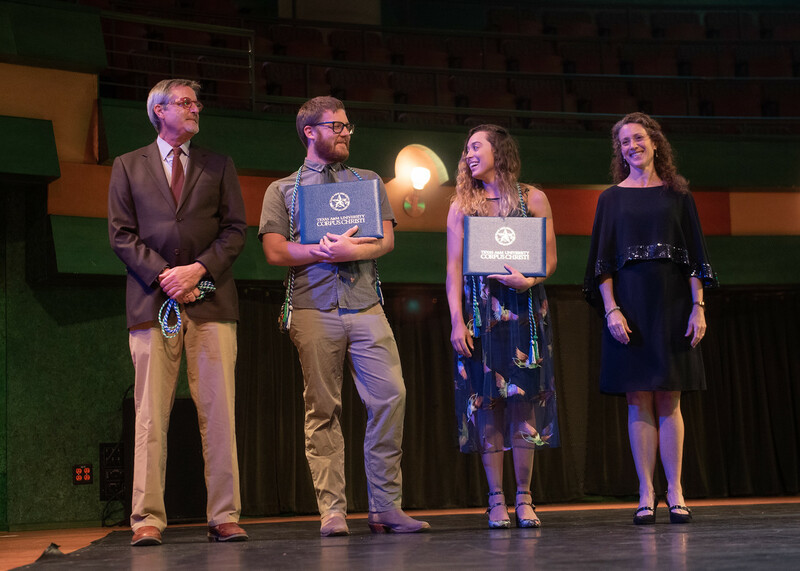 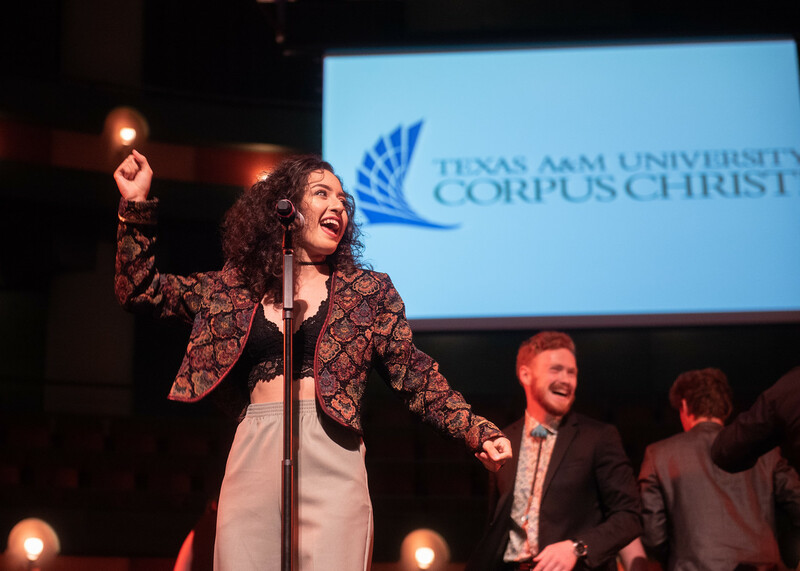 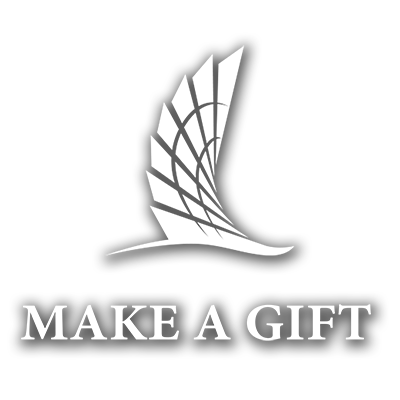 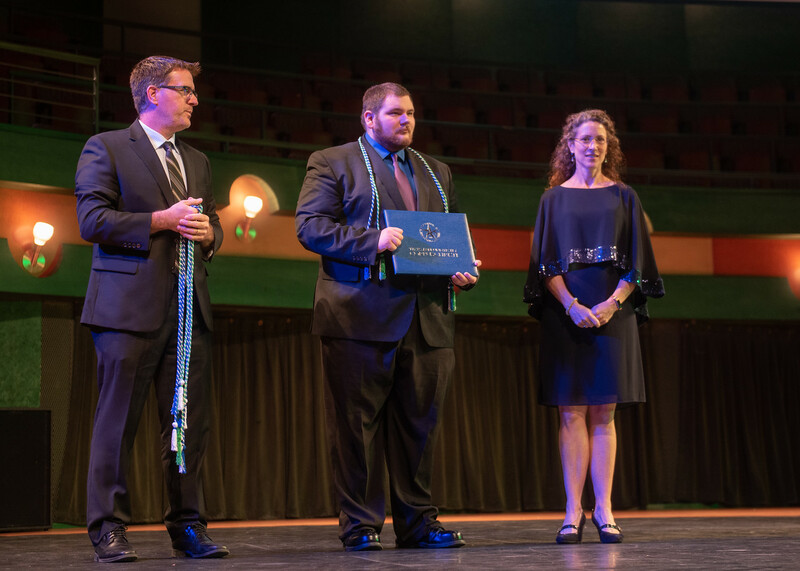 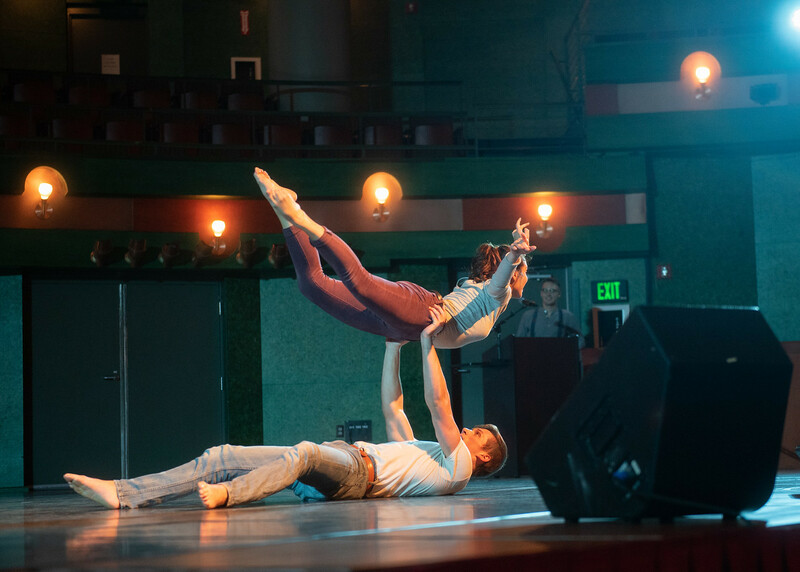 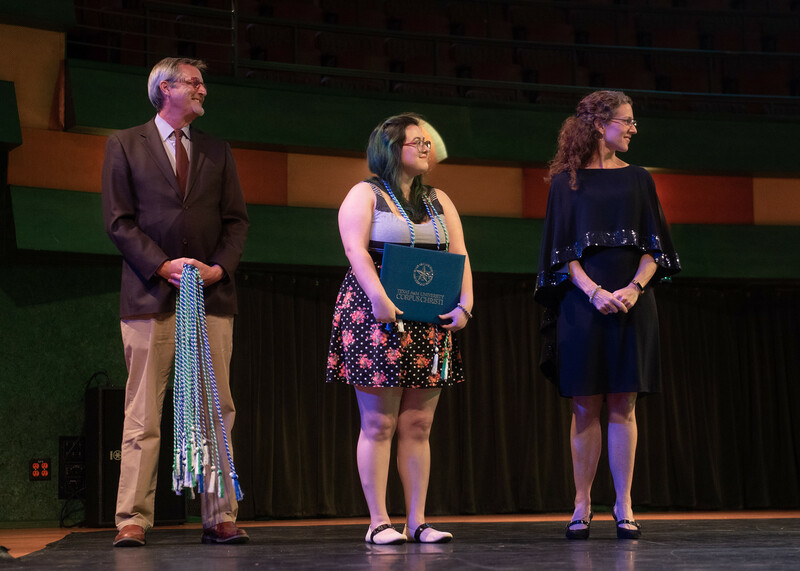 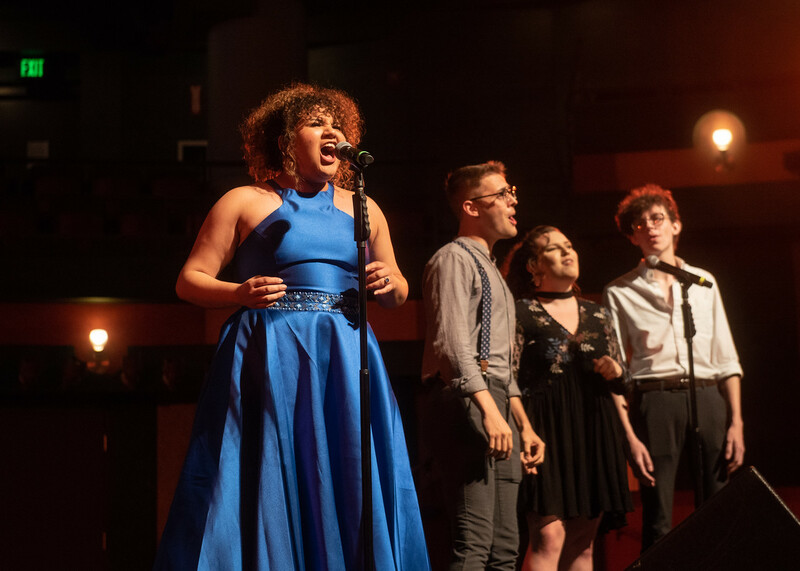 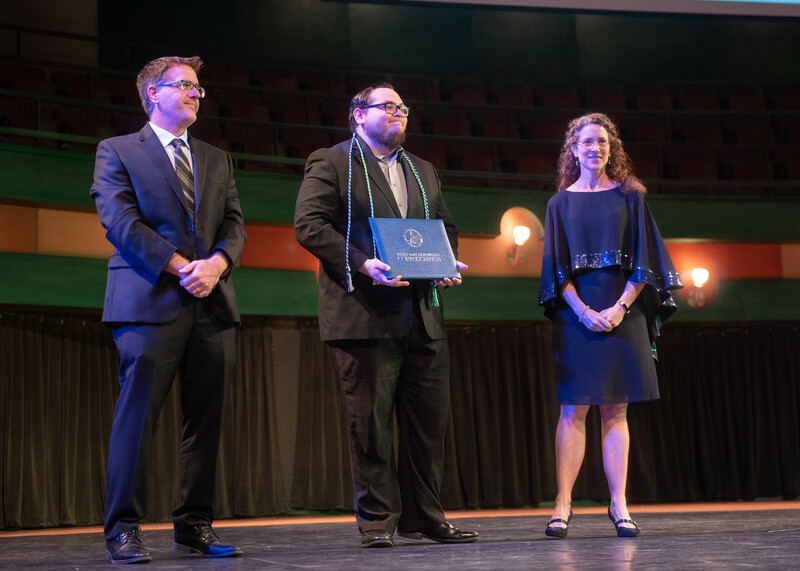 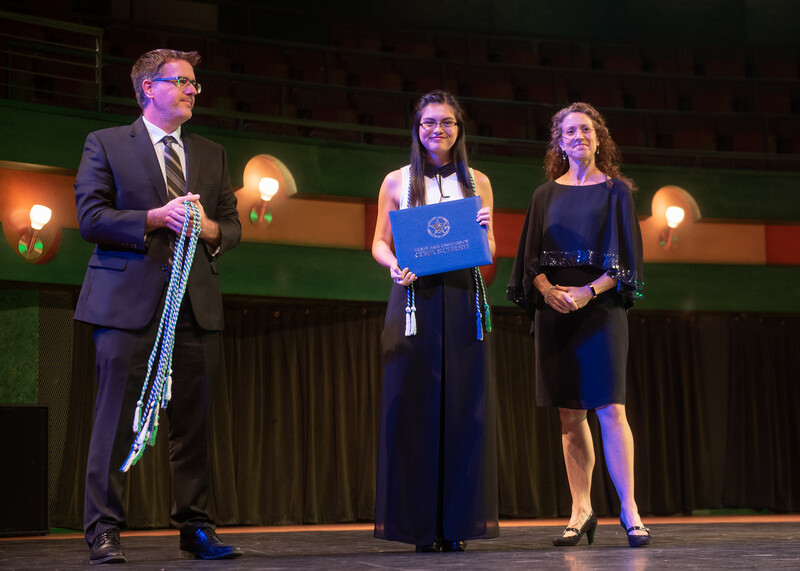 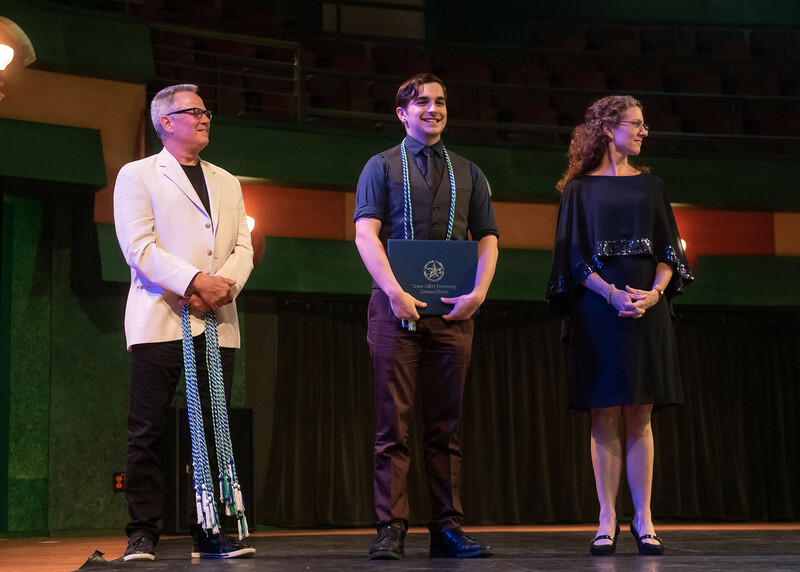 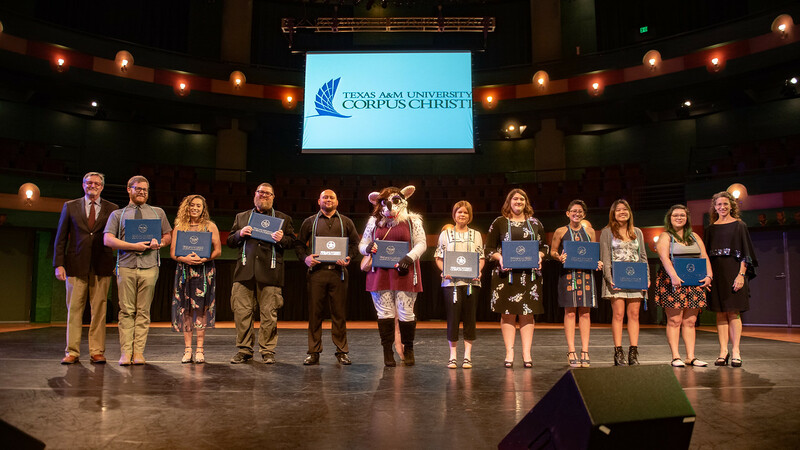 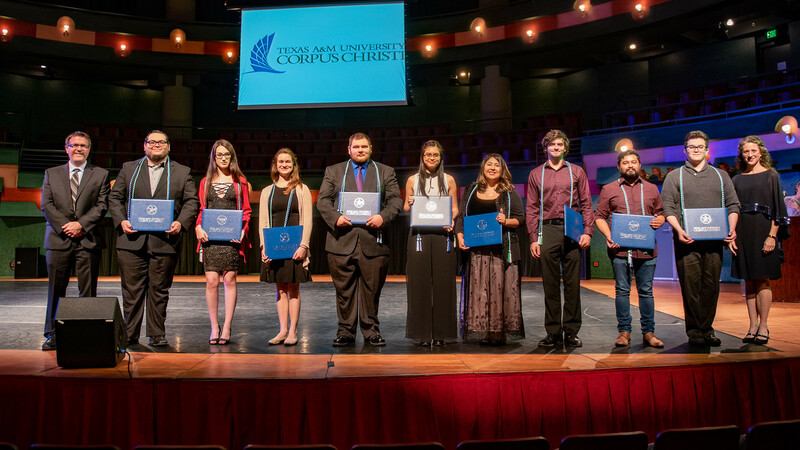 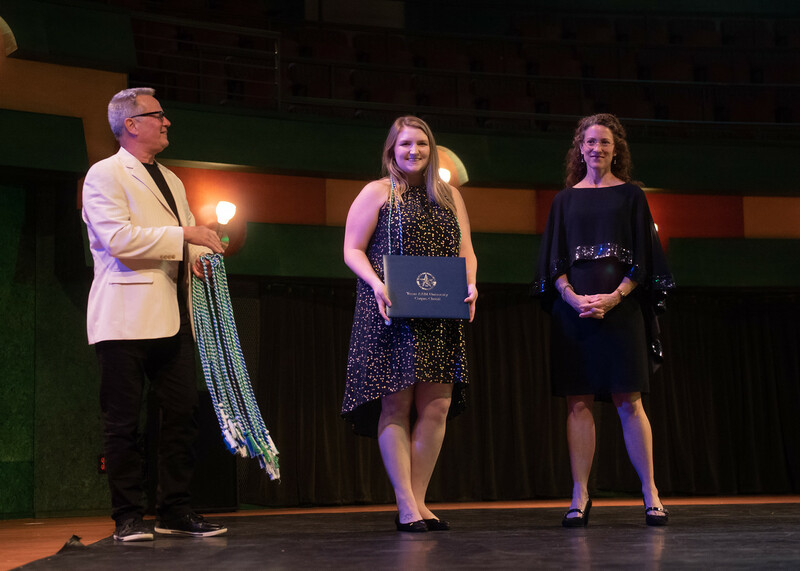 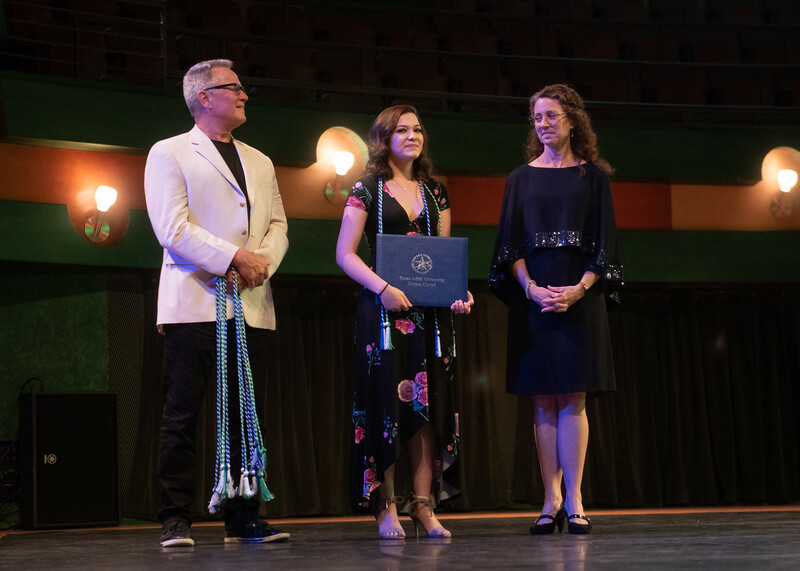 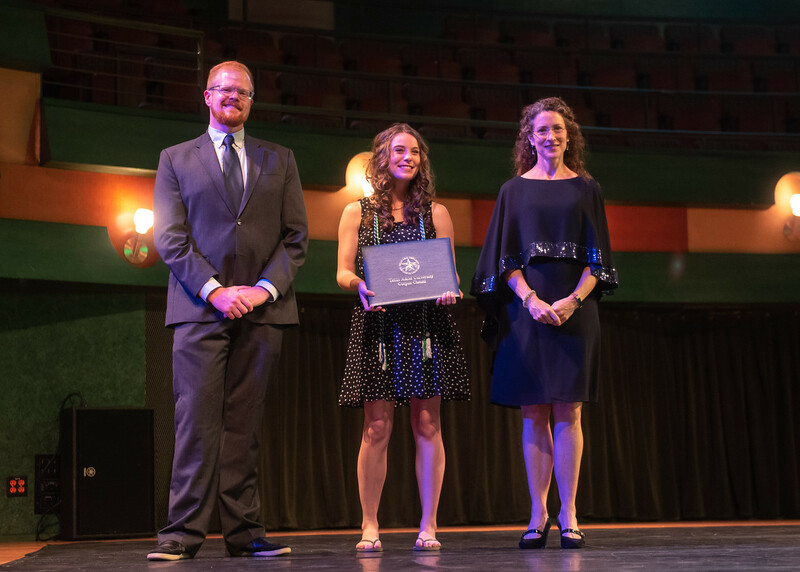 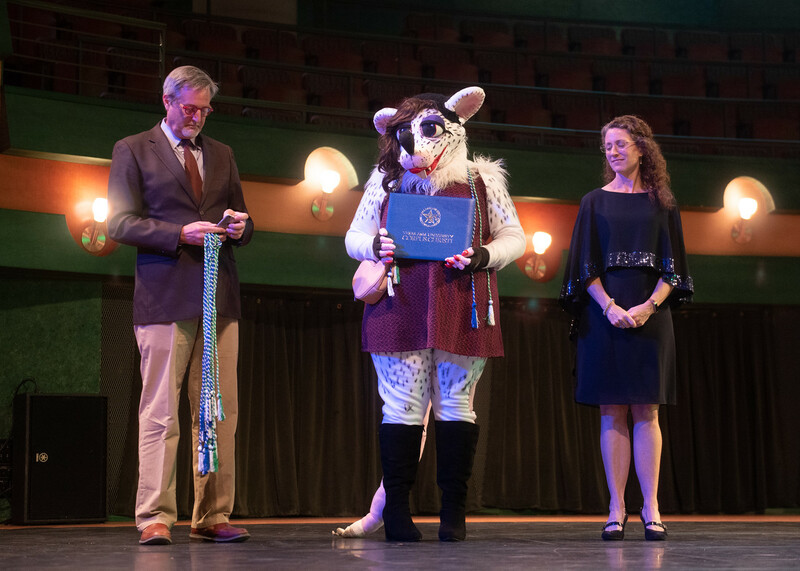 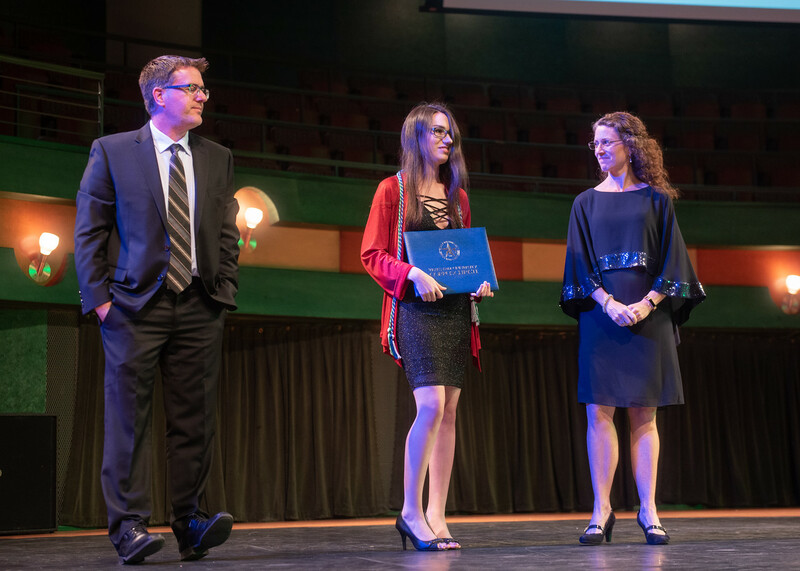 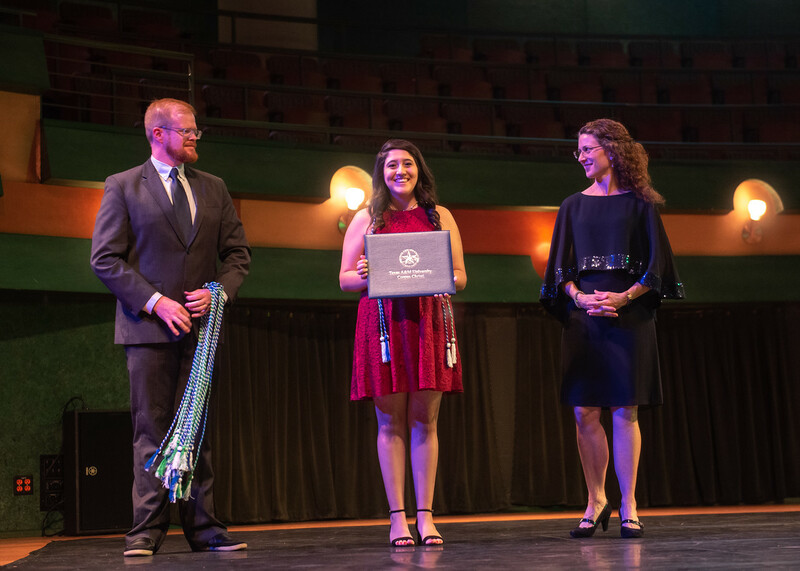 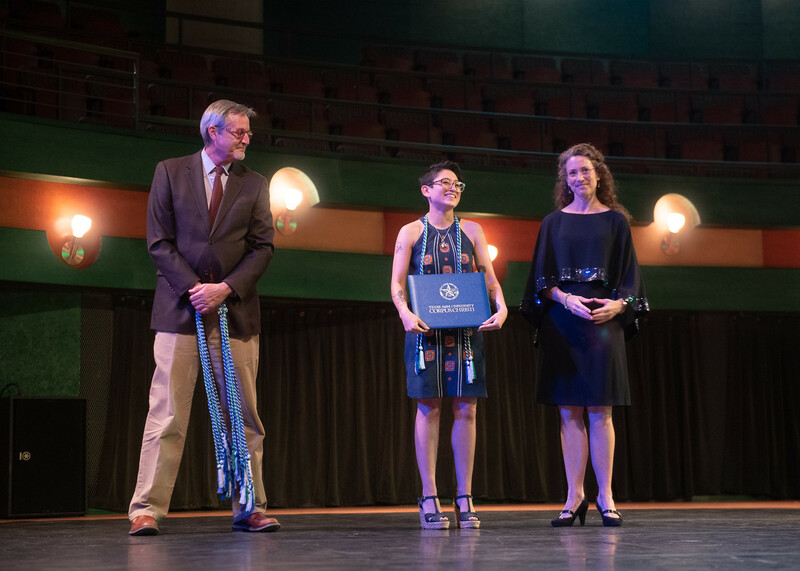 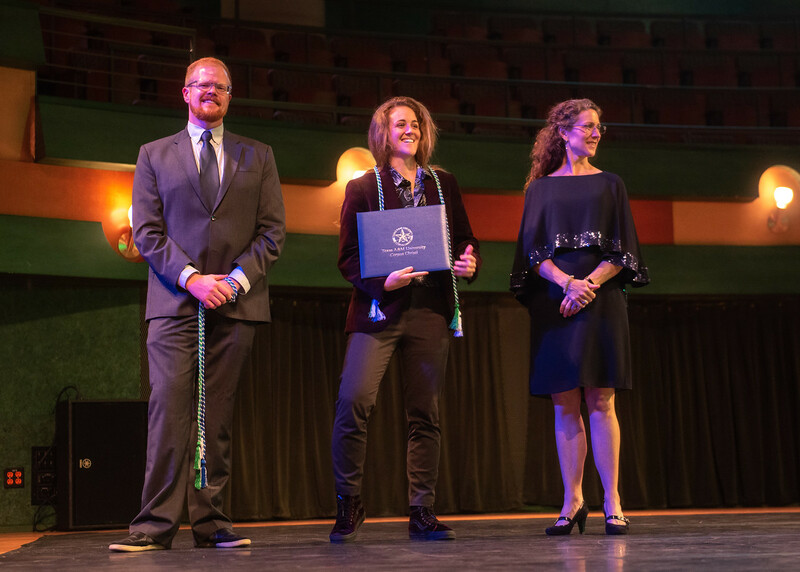 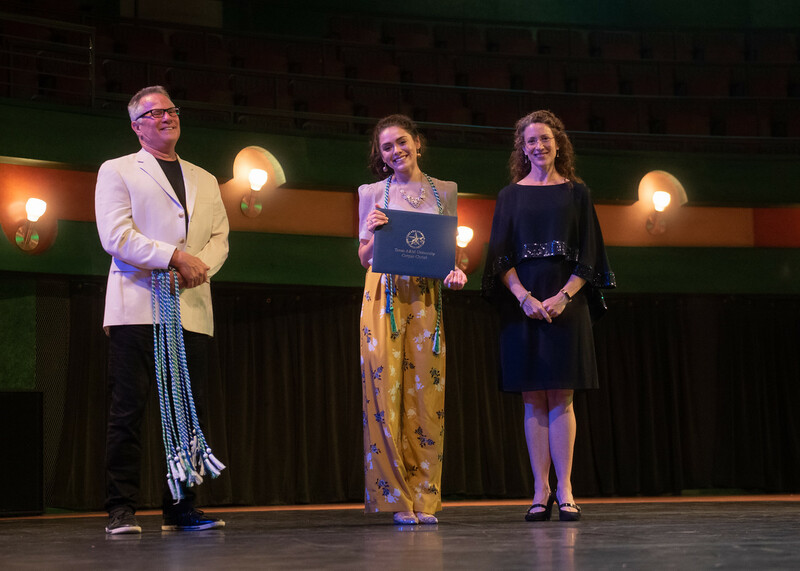 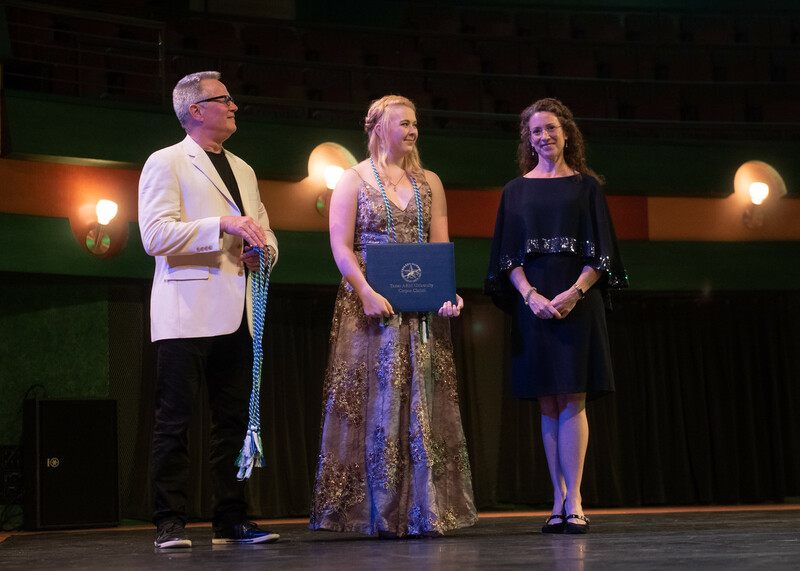 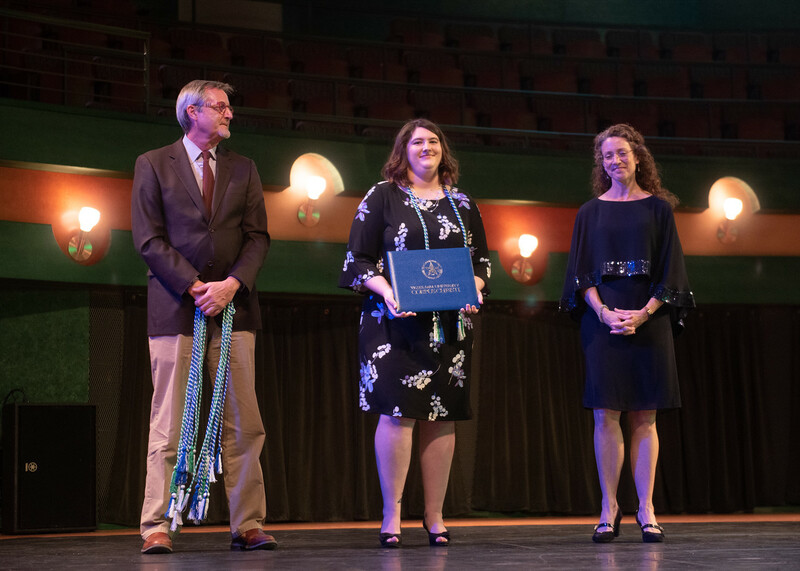 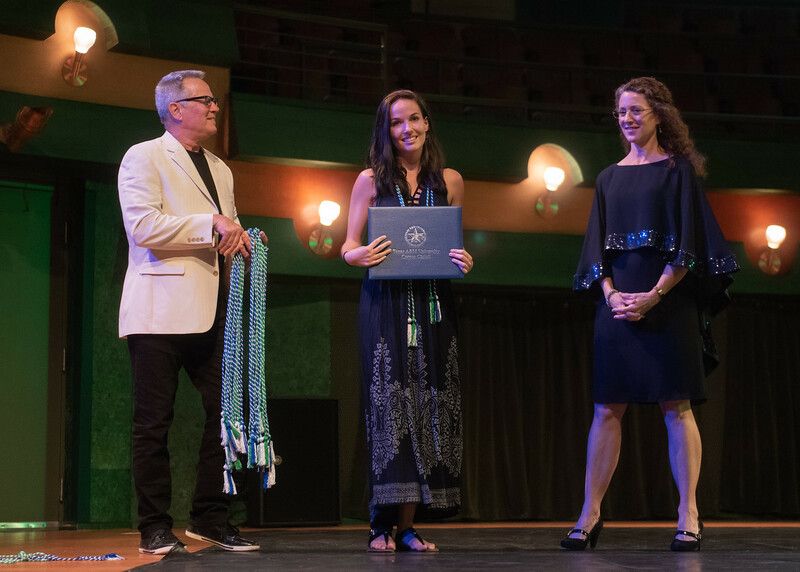 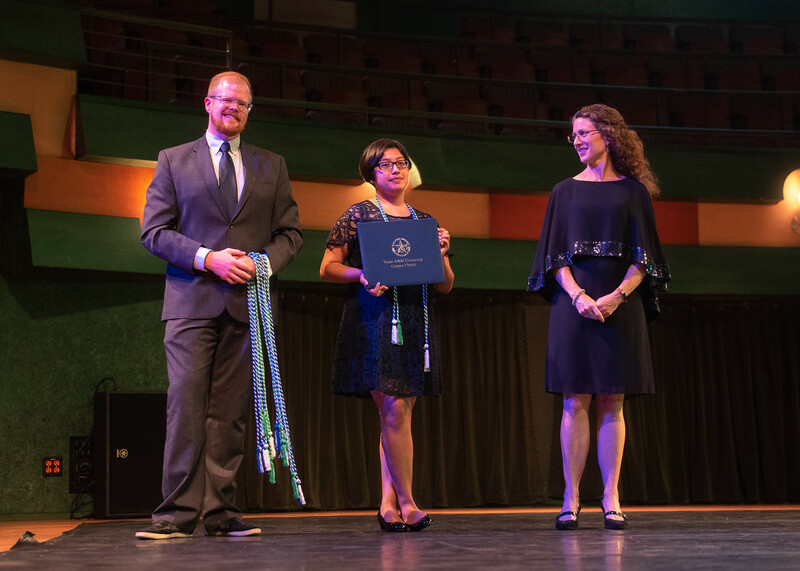 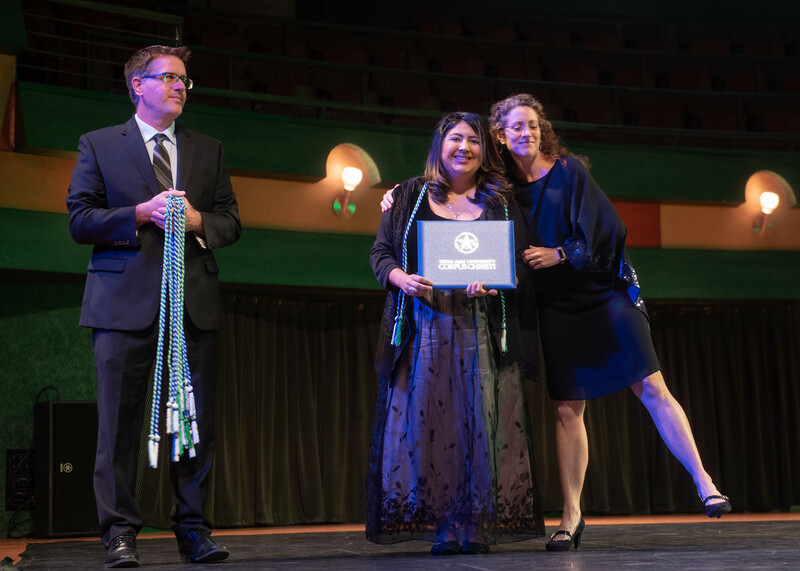 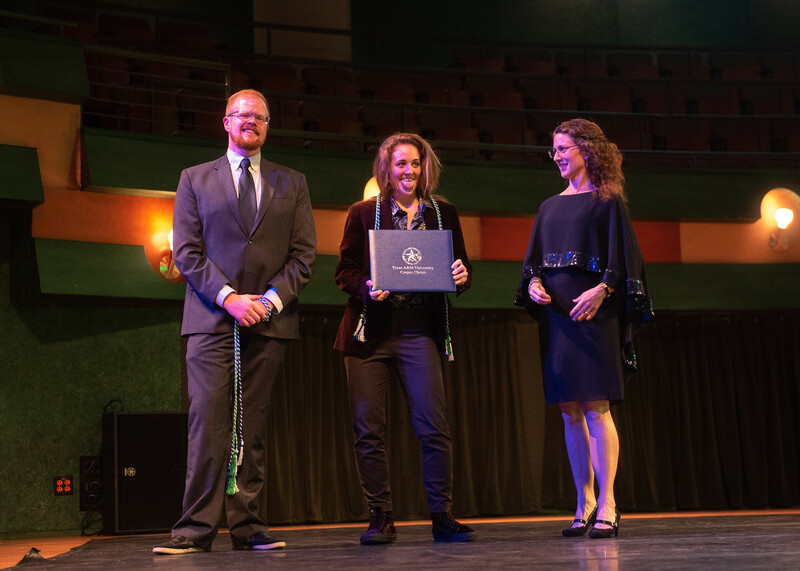 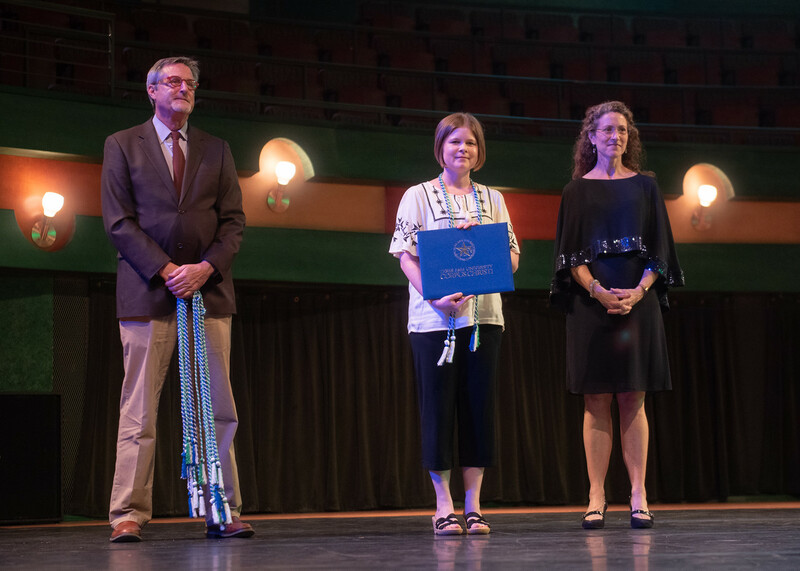 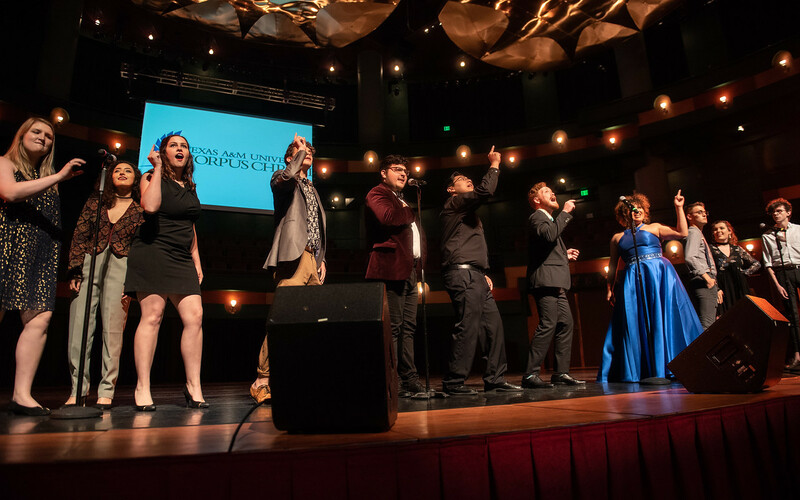 CORPUS CHRISTI, Texas – In celebration of excellence in art, design, music, theatre, dance, media and communication, the College of Liberal Arts at Texas A&M University-Corpus Christi hosted its 6th annual School of Arts Media and Communication (SAMC) Awards. 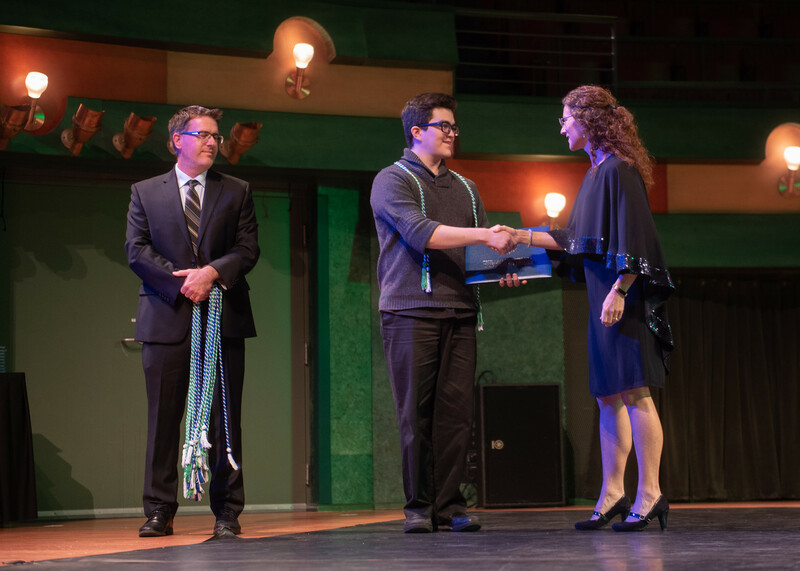 The ceremony was held April 29 in the beautiful Performing Arts Center. 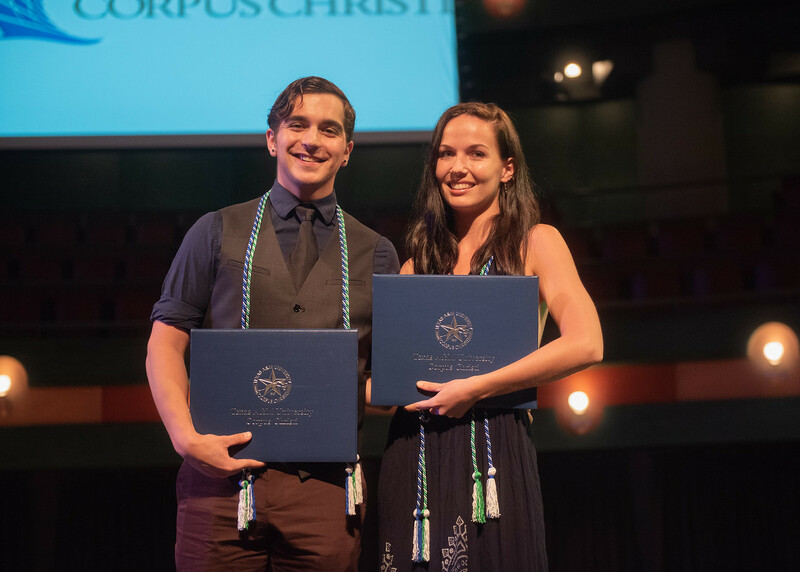 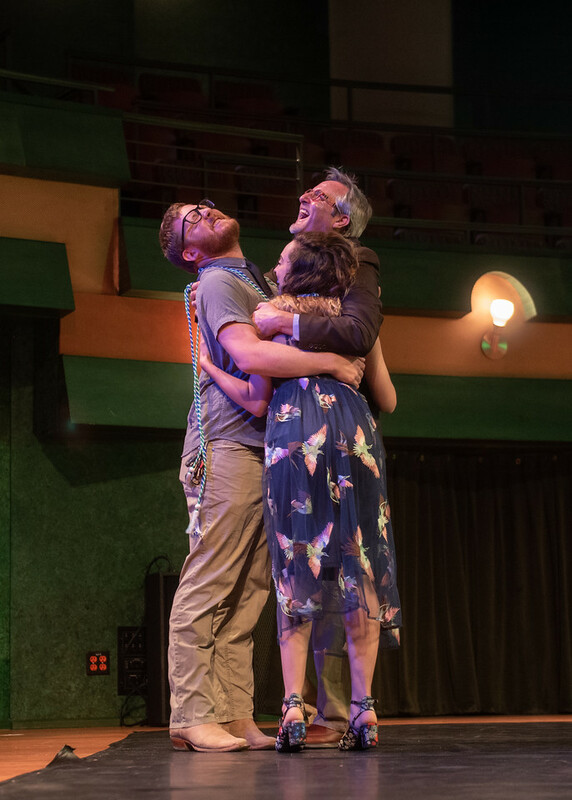 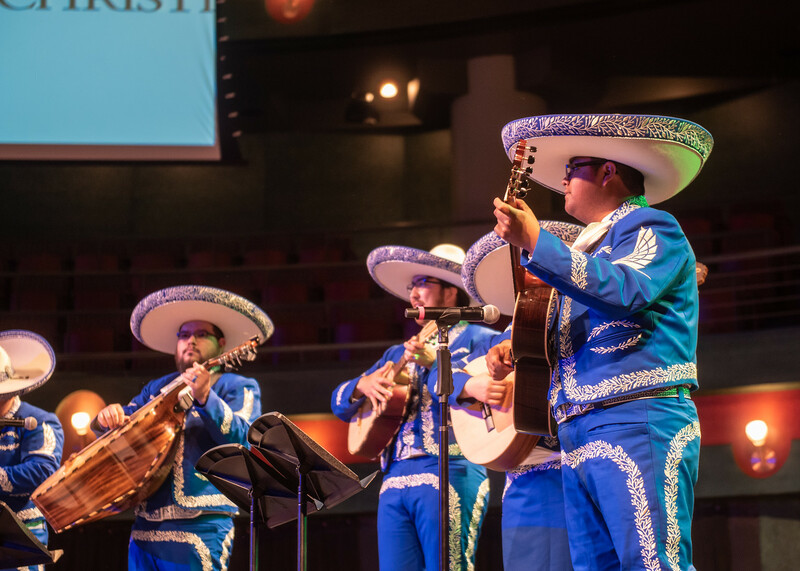 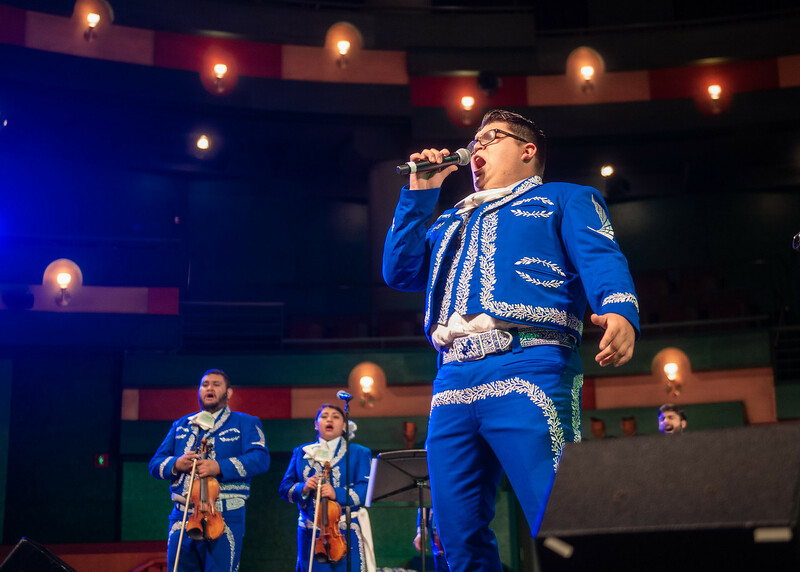 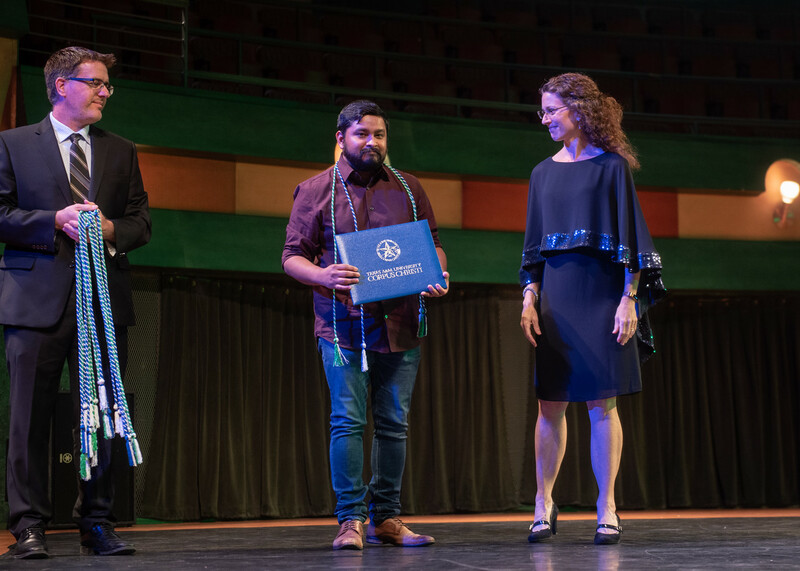 Sierra Priest and Micah Knupp, both theatre majors at the Island University, were chosen to emcee the ceremony, which opened with a rousing performance by Mariachi de la Isla, directed by Dr. Rai Morales, associate professor of music. 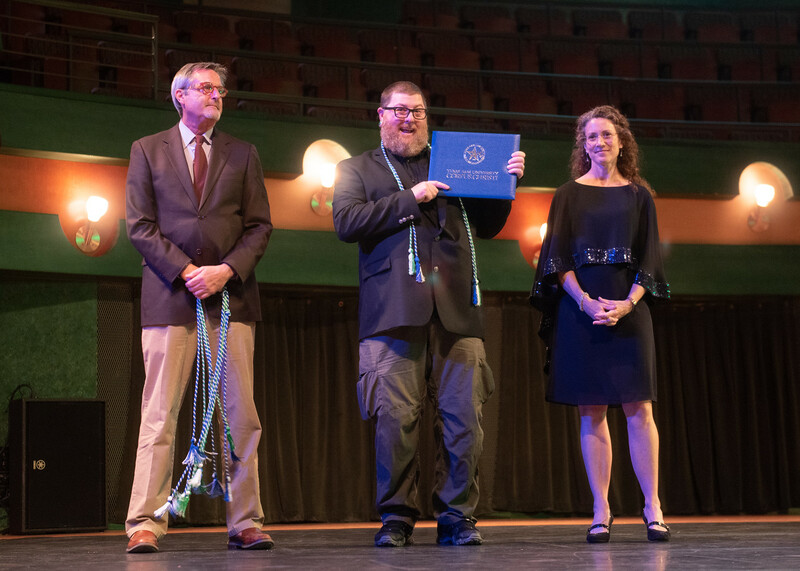 Priest and Knupp then welcomed each student to the stage to receive a certificate and a set of cords in the University colors to wear at commencement.